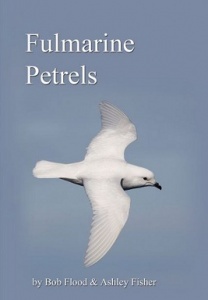 An essential resource for all seabird enthusiasts filmed and produced by experienced and knowledgeable seabirders with informative narration throughout. Species featured are Northern Giant Petrel, Southern Giant Petrel, Northern Fulmar, Southern Fulmar, Cape Petrel, Antarctic Petrel and Snow Petrel. There is a general introduction to the group together with species accounts and range maps. Special features include separation of Northern & Southern Giant Petrels, Atlantic and Pacific Northern Fulmars along with footage of confusion species including Sooty, Light-mantled Sooty & Black-browed Albatrosses, White-chinned Petrel, Sooty Shearwater as well as footage of Wandering Albatross, Wilson’s Storm-petrel, Subantarctic Skua and Pale-faced Sheathbill. The DVD is accompanied by a 40 page booklet. The DVD is in PAL format (multi-regional).